Whether you are relocating a data center or need to move your high end valuables, you’ll need the help of qualified asset recovery specialists to ensure that your goods are handled safely and properly. At AFP Global Logistics, we have extensive experience and a broad network of removal specialists and partners across the nation, which allows us to complete any asset recovery project, no matter how large or complex. Asset recovery is complex, but it doesn’t have to be with the help of the experts at AFP Global Logistics. Your valuable assets must be handled with special care, and the experts at AFP Global Logistics understand the unique logistical concerns and demands of asset recovery. We have built partnerships with many of the nation’s best asset recovery services, ensuring that we are able to tailor our solutions to your needs while adhering to your budget and timeline. Our experienced crews are trained to pack and transport your assets safely and efficiently using the proper equipment and materials. No matter how much equipment needs to be moved, we have the resources to complete the project in the most cost-effective manner possible. 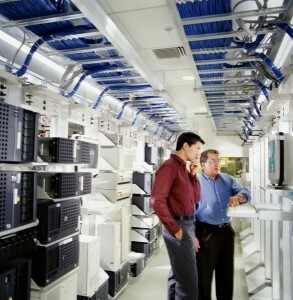 The logistics of relocating a data center or server room are complex, but we have the experience needed to get the job done right. We will take care of all of the paperwork, ensure that the project is completed according to your timeline, and we will work closely with you along every step of the way to ensure that everything goes according to plan. We are also skilled in the specialized field of tech refresh services and will replace your outdated equipment with new gear while minimizing downtime and ensuring the security of your sensitive hardware. If you are looking for trustworthy and expert asset recovery services, look no further than AFP Global Logistics. We provide a full range of shipping services, and our 25 years in the business have given us the tools we need to tailor our logistic solutions to each and every individual customer. For more information or to start designing your own logistic solutions today, get in touch with AFP at 410.590.1234 (toll-free 800.274.1237), email us at info@afplus.com, or fill out our quick and easy contact form here! This entry was posted on Friday, July 22nd, 2016	at 12:26 pm	and is filed under Warehouse Services	. You can follow any responses to this entry through the RSS 2.0	feed. Both comments and pings are currently closed.